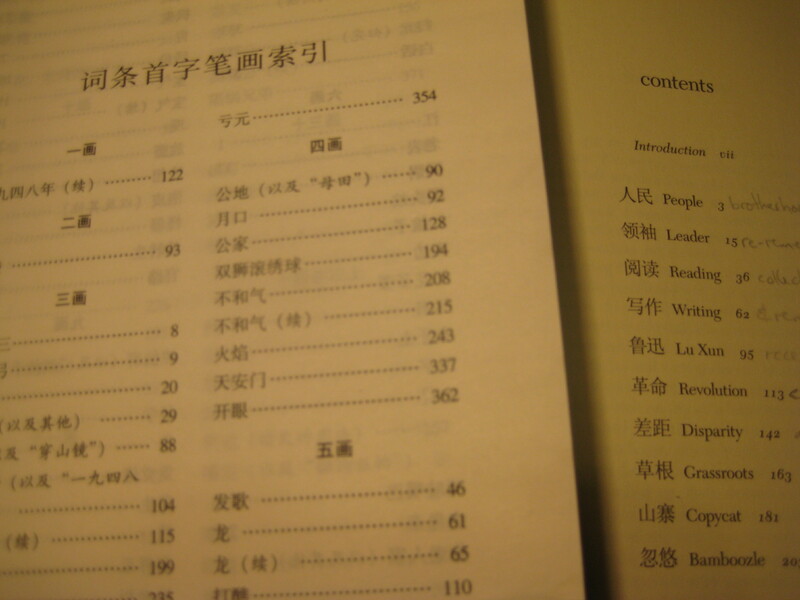 Han Shaogong: A Dictionary of Maqiao 马桥词典 (1996/ trans. 2003 by Julia Lovell) Based on his experiences and meditations upon language as an educated youth ‘send down’ to the countryside in the 1970s, the novel take the shape of a lexicon biography of the semi-fictional village of Maqiao. Through the formal break with linear narrative, Han Shaogong foregrounds the ambiguous yet powerful nature of language in shaping our understanding of history, the world and ourselves. More about Han Shaogong and language here. Yu Hua: China in Ten Words 十个词汇里的中国 (First published in French 2010, Chinese version published 2011 in Taipei, English translation by Allan H. Barr 2011) Yu Hua aims at reappropriating China from communist sloganeering and Western generalization by redefining ten Chinese words. His word definitions consist of personal anecdote, critical essay and political analysis, blending the genres in a way that points to the context dependent status of language as well as the inherent paradox in trying to define language with language. Guo Xiaolu: A Concise Chinese-English Dictionary for Lovers (Written in English 2007) Using the clashes arising in the cultural and literal translation between lovers as her point of departure, Guo Xiaolu probes the interconnectedness of language and cultural identity. Self exiled into a foreign context, the subject is forced to constantly translate her surroundings, while at the same time translating herself into her new reality. 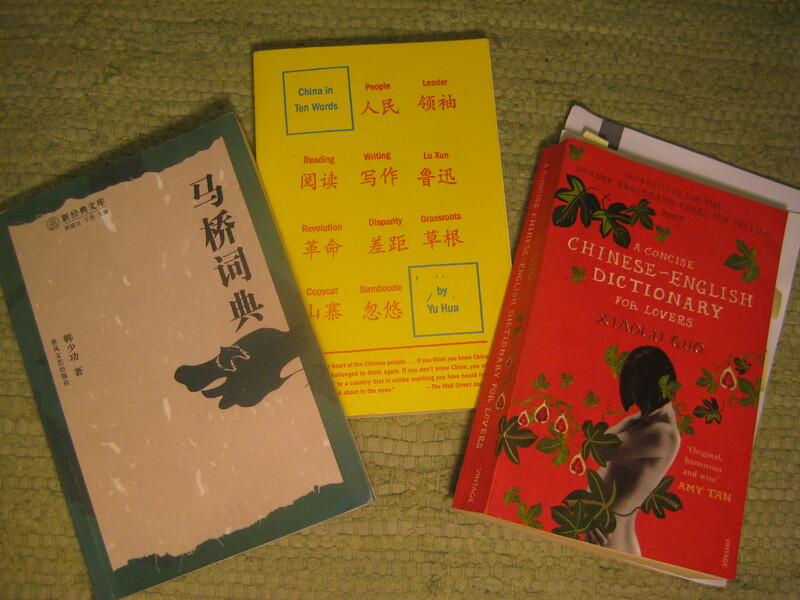 The formal constraint of the wordbook or dictionary force a common thematic focus on language in all 3 novels, different as they do otherwise appear. Likewise the question of history, the right to write it, and the role of language in the communication of as well as the creation of it, is a topic of the first two. Cultural identity and translation is a theme shared by Han Shaogon and Guo Xiaolu, with the former presenting language struggles within Chinese territory and the latter between China and the UK. Hope to have made some of you curious for more, all 3 novels are available in English, with A Dictionary of Maqiao as my personal favourite!